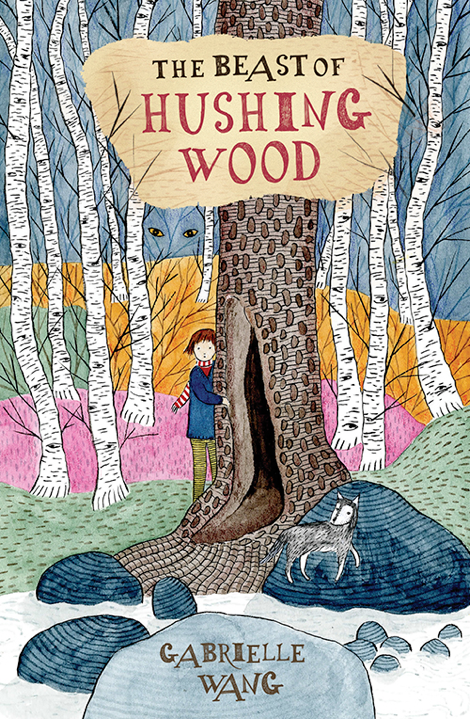 The Beast Of Hushing Wood is a highly imaginative and creative story that will appeal to readers of all ages. The best way I can sum up the book is to suggest that it has the power and intensity of adventure of J.R.R Tolkein (with perhaps no where near half as many characters), the magical and paranormal immersion and focus of Holly Black’s Darkest Place Of The Forrest, the mythological presence of Rick Rordan’s Percy Jackson’s Series but the light heartedness and tenderness of a book suitable for readers from 10 plus, while remaining a safe stepping stone into Young Adult themes and narratives. “The Beast Of Hushing Wood is an adventure style novel perfect from children on the cusp of young adulthood, but not necessarily ready for the older themes of Young Adult books. It’s the kind of book that will appeal to adventure/risk takers and lovers of magic and the unknown. It’s a book that continued to surprise me and kept me guessing for the entire 180 pages of the novel.With adventurous themes and settings, magical aspects and mythological beings, there is a lot to take in and love about The Beast Of Hushing Wood. When the book opened, I expected a self-discovery-slash-coming-of-age style narrative and while there are elements of both of those things in the story, the narrative has so much more to offer in a remarkable short amount of pages.For one, it’s illustrated! I can’t remember the last novel I read that had illustrations scattered throughout the pages and so I really enjoyed the illustrations that spanned everything from a two page spread to small chapter style headings. Not being familiar with the author’s previous work, I wasn’t aware at the time of reading that Wang is both the books author and illustrator and looking back knowing this gives the book a larger than life feeling. You can literally see and read the tale unfold before your eyes as the author intended it to be and that’s kind of magical in itself..I loved the book’s sense of otherness. The world of Hushing wood and the town Ziggy and her friends call home is crowded in by the woods and not kind to foreigners. But then there is Ziggy, a spirited eleven year old who knows her own mind. She’s not easily mislead by the closed mind towns folk and uses logic and her limited knowledge of the world to problem solve. If anything I think the world needs more books about young girls like her. What’s more the use of Eastern mythology and the re-telling of those tales brings a sense of wholeness and completion to the story. By including these tales that many westernised kids are not used to, Wang is both teaching and widening the readers knowledge and social construction, while adding another level of mystical and compulsion to the book.But perhaps my favourite aspect of the book was the insistence on the power of one’s imagination. There are countless examples within the novel that express to the readers that your imagination is fantastic. With children from 12 plus heading to a highly indoctrinated and exact educational system, our imagination and it’s place in our day to day lives is often forgotten and left behind. We are not taught to be creative and imagine life outside the walls presented to us, but it happens every day as a child, and again as a reader of any age through books. The Beast of Hushing Woods is set in a world that weaves together a variety of mythologies. Were there any particular myths or cultures that inspired the story? A trip to Morocco planted the seed for this story. The landscape, the colours, the people so filled my imagination that I knew one day a novel would emerge. What I didn’t know, however, was when an idea would come. Morocco is awash with tales of the jinn (or ‘djinn’). They are part of everyday life, and the rich and fascinating world of the jinn goes far beyond the ‘genie in the bottle’ trope. In earlier drafts of the novel, my jinn was a one-dimensional antagonist, just plain bad. But successive drafts revealed his back story and with it the reasons for his evil ways. There are two main characters in the book—Ziggy Truegood and Raffi Tazi. Raffi is the outsider, the foreigner, feared by the small conservative town of Dell Hollow. Although Morocco is never mentioned in the novel, in my mind’s eye Raffi is a Moroccan boy. Ziggy is a girl dealing with some major challenges. Do you feel a responsibility to balance the darker elements with lighter scenes when writing for children? I’m not conscious of balancing dark scenes with lighter scenes and do not feel a responsibility to do so. The only given is a happy ending. After 16 novels perhaps the balance comes naturally. Although my novels are written for children aged eight to 13, the stories are never simple plot-driven stories but deal with the problems that many children face: death, loss, bullying, family breakups, feelings of alienation, of being ‘the other.’ I never shy away from writing about the darker side of life. Novels can be powerful things. They have the ability to transport a child to another place and bring them back with renewed inner strength. The novel is a mix of both the problems that might come out of small town life, combined with something more mystical. What appeals to you about writing in the magical realism genre? Growing up as a Chinese-born Australian, I am fortunate to have two ways of looking at the world. There is the saying ‘seeing is believing’ but I think really it’s the other way around: what you believe is what you see. For example, the ancient Chinese belief that strange beasts existed in the mountains led to the classic Guideway Through Mountains and Seas (Shanhaijing) This book was written as a guide for travellers to safely navigate the areas these creatures inhabited. Europe had similar texts, as we know from Borges. Who’s to say that the ancients got it wrong? Maybe we have blinded ourselves to realms existing only an arms-length away, as it were. The Moroccans and many other nations certainly live that reality even today. So it is not so much that I choose to write in the magical realism genre, it is more true to say that this is how I experience the world. You spent time in the Berkshire Woods in Massachusetts while working on the book, and it seems heavily influenced by this setting. Did Hushing Wood change before and after your time away? Yes, it changed immensely. The early drafts for Hushing Wood lacked authenticity; the feeling of ‘the woods’ just did not emerge, because this type of landscape did not live inside me as do the forests, bush and scrub of Australia. When my publisher saw the first draft, she too was unable to get a sense of place. After some thought, it became clear that the only thing to do was find some woods, to live and breathe them. I have a friend who lives in Williamstown, Massachusetts, with a house on a hill, a meadow in front and acres of woods around. I saw deer and a momma bear with her two cubs. There were humming birds and chipmunks. A groundhog lived under the house. Instead of eucalypts there were oak, birch, and sycamore. There were maple trees that bled real maple syrup. I learned that if leaves turn over to reveal their silver undersides there will be a storm. I learned that the rows of holes on the trunk of a tree were made not by insects, but by woodpeckers. I dined in a log cabin by a stream full of brook trout. A tiny local school formed the backdrop for Dell Hollow Elementary. Back home, I wrote about the woods with gusto. I now knew the animals, the smells, the sounds they made. I could write from the heart. The book is also beautifully complemented by watercolour illustrations that you’ve drawn. Is a visual component a big part of your writing process? I have always loved to draw and used to be a graphic designer. Later I lived in China and studied Chinese painting at an arts academy, both the fine-detailed painting called gong bi (‘labour brush’) and also the freer, more impressionistic landscape painting shan shui (‘mountain and water’). Being a highly visual person, when I sit down to write, the scene is as clear in my mind as if I’m watching a movie. Once the story has been written and the novel is in its copy-edit stage, the illustration process begins. I go back through the story and look for scenes that inspire a painting. Brush and ink is the first stage, then watercolour. I loved Patricia Highsmith’s Strangers on a Train (various imprints), which I just finished. The book is better than the film, which deviates greatly from the original toward the end. It’s a classic in noir fiction, a psychological crime thriller, as much driven by character as it is by plot. I highly recommend it if you enjoy this genre.